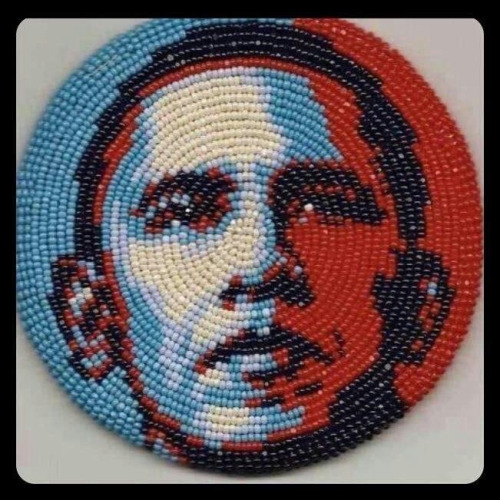 In consideration of recent posts on the successes of President Obama vis-a-vis Indian Country in his first term (for example, here and here), consider a few of Indian Country's trials and tribulations on his watch. 1. Disrespect for Tribal Territorial Autonomy: Agencies within the likes of Justice and Labor, led by the President's appointees, too frequently encroach upon tribal sovereignty and territorial autonomy without appropriate consultation with tribal authorities, as required by Treaties, federal statutes and those agency's own consultation plans and policies. In many respects, it remains business as usual for many federal agencies in terms of entering Indian Country at will to carry out the agency's prerogative. In other words, President Obama's promise of consultation, to federal folks on the ground, is "just words" -- especially given the President's endorsement of the UN Declaration and its "free, prior and informed consent" mandate for nation-state entry onto indigenous lands. I agree with those tribal leaders who insist that the President do more to ensure that "free, prior and informed consent" be integrated into federal policy and action as to issues of tribal implication. 2. Federally Sanctioned State Regulation/Taxation of N2N Commerce: Under guise of the PACT Act, Justice and its ATF have expressly sided with state governments in the enforcement of state civil regulatory laws and tax statutes against tribal governments and entrepreneurs who sell value-generated and other tobacco products from reservation to reservation. Despite the Fed's status as Trustee to Indians, which trust relationship the U.S. does not have to states, the Obama Administration has done so without any meaningful consultation with Indian Country. Even worse, the U.S. threatens to set a precedent of state regulation and taxation of any form of inter-tribal or reservation-to-reservation commerce or trade. Justice and ATF must immediately stand down, in deference to Indian self-sufficiency. 3. President's Unholy Alliance With Big Labor: President Obama struck deals with both Big Labor and Indian Country during his first election. Over the past four years, the Department of Labor has launched un unprecedented assault against Indian Country on behalf of labor unions and employees. In other words, the President has chosen the side of labor interests, which should come as no surprise given his strong predisposition to labor unions. Under banner of the NLRA, most notably, but also OSHA and ERISA, the agency has aggressively challenged tribal self-governance and in the process dishonored notions of tribal territorial authority and federal-tribal consultation. What Labor ultimately threatens to do is ensure that all federal labor laws of so-called general applicability, uniformly govern labor and employment in Indian Country, to the exclusion of tribal self-governance over those areas. Labor should also stand down, in deference to tribal self-governance. 4. Business As Usual With Interior Post-Cobell: It also remains business as usual for the Department of the Interior and BIA as to Indian trust land management, or mismanagement. Indeed, despite so-called "lessons learned" from Cobell, Interior and the BIA have not fundamentally changed the way they carry out the federal trust responsibility to Indian landowners, especially allottees. The $1.9 billion dollar Indian land consolidation, or "buy-back" program, exclaims this point, as Professor David Wilkins observes; instead of exploring new ways to resolve the fractionation epidemic, like Indian estate planning, Interior proposes to band-aid the disease, by creating a $285 million land consolidation/buy-back program, for career BIA employees to administer. All the while, they ignore and do nothing to propose resolution to the real problem of fractionation: non-Indian ownership of undivided interests in allotments. In other words, the more things change (Cobell), the more they stay the same -- and the same will hold true for Cobell-style Indian land controversy. This critique is not to suggest that the President has not done more for American indigenous people that any President before him; indeed, he has done more than his ever predecessor. Nor is it to suggest naiveté that any President can stand absolutely allegiant to Indian Country in true respect for tribal sovereignty; indeed, no United States President can or ever will. But this critique is to suggest that the Obama Administration can, fundamentally, do more to respect the inherent rights of Native Nations and to resolve historic federal-tribal atrocities, during the President's next four years in the White House. Yes he can. Older PostGalanda Broadman Named Amongst Washington Puget Sound Region's "Best Lawyers in the Business"